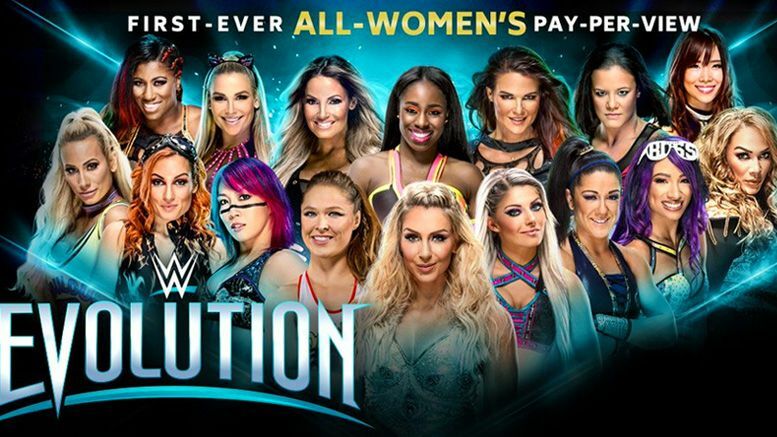 Two singles matches slated for WWE‘s Evolution event at the end of the month were merged into one big tag team match on Raw this week. Trish Stratus came out on RAW to address the crowd regarding her match with Alexa Bliss at Evolution when she was abruptly interrupted by both Bliss and Mickie James. After Mickie stated that their Evolution match should be a tag team match, Stratus agreed and said she had the perfect partner — WWE Hall of Famer Lita, who hit the ring. The change is interesting, as up until now WWE had advertised a singles match between Mickie James and Lita for the show … as well as Alexa vs. Trish. Sad about the change? Think this will be better? Let us know in the comments below!